With Dragon Age: Inquisition being BioWare’s biggest game launch ever, you’d be forgiven for thinking that numerous elements of the game would start leaking over into the studio’s other massive franchise: Mass Effect. 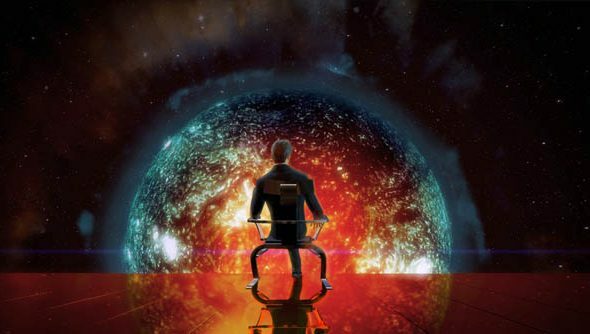 If this is cause for concern for you, reduce your panic levels to the green zone now: BioWare have said that Mass Effect 4 will be very much its own thing. “All of our games are using Frostbite now. We’ve said the next Mass Effect (and our new IP, but I won’t expand on that yet) uses some of the technology from DAI. We’ve been enjoying building larger areas that you can explore with less friction, so that’ll be there as well. Flynn credits being able to drop the last generation of consoles from their development as having a larger impact on the game. Not having to work with the constrictions of seven-year-old hardware must be fairly liberating. An element that certainly isn’t drawing from Dragon Age is Mass Effect 4’s new Mako rover vehicle, which is returning after a two game absence. The original vehicle from the first game was an unwieldy mess, but Flynn promises the new Mako will be a lot easier to drive, and may potentially have customisation options. So if you were worried that BioWare games may be headed the way of Ubisoft’s template game design, this news should hopefully help you rest easier at night.